One of my backlogs(Yay!). Pero siyempre, hindi pwedeng hindi kasama etong milestone and memories na ito sa blog ko. So now, sharing our experience at Dreaworks Dreamplay; Play, Create and Learn. Our first option talaga to celebrate my son's birthday is going to the beach, pero dahil May 14 is election day and we are voting, hassle naman kung uuwi agad kami and won't stay overnight. So our schedules are not allowing us to have a beach trip. Last year we went to Ocean Adventure and Zoobic Safari, we decided to try Dreamplay para maiba naman. I was a bit hesitant nung una dahil sa mga bad reviews but still give a try baka sakaling mag-enjoy kami. So going back, May 13 is also Mother's day so double celebration ito. And I already saw on their fb page that all mothers are free as long there's 2 paying adult. Also birthday celebrant is fee. So ayun free ang lola mo, so nakatipid pa kami. So pagpasok, etong sila Madagascar ang makikita mo. Maganda naman ang pagkakasetup. That time, walang pila at ang bilis lang ng payment. The staff will advise you to prioritize reserving a slot at Gingy's Kitchen because it has limited time slot and only few kids they can accommodate per session. After reserving a slot for Gingy's Kitchen, we stayed for a little while sa Afrocircus. Toddlers and smaller kids will enjoy here. The floor and every corner of the place is childproof. Even the balls that they use to shoot a target is super soft. My son super enjoyed here. He keeps on climbing up, picking up the balls, screaming whenever balls shoot up high and yeah he pretty much like here. Dito pa lang sabi ko, di ko pagsisihan na nagcelebrate kami sa Dreamplay. One thing I don't like are the lights. Like, why do they have super dim lights? Medyo masakit siya sa mata. Ang hirap tuloy kumuha ng pics gamit phone dahil hindi maganda ang lighting. Upon entering, the participants will need to wash their hands. So they have 3 basins with liquid soaps. They will only allow 2 participants, so either 2 kids or 1 kid then 1 parent. After that, they wore their hairnet, chef hat, and apron. First, they knead the prepared dough using their palm or rolling pin, then use the ginger cutter to cut the cookie dough. Then they decorated their cookies using the prepared icing. Tadaahhh! Super easy lang gawin. Pwedeng pwedeng bonding with kids sa bahay. After sa Gingy's Kitchen we headed to Whatever Floats Your Boat. Here you can design your own boat and let it sail on the miniature water trail. The staff will give you paper to draw and design. Wag mo na masiyadong galingan kasi mababasa lang din siya. Then choose your boat part tapos idikit mo yung paper. Then you're ready to sail! You can target enemy's boat using the tools that you will see on it's side. And the finish line! You can sail as many turns as you want but I'll bet di mo to gagawin buong maghapon. 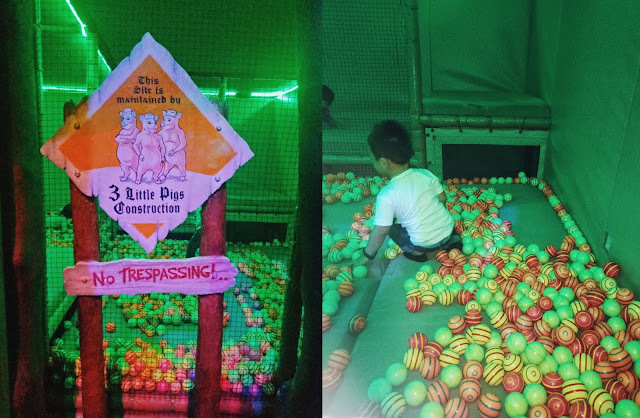 My boys enjoyed it pero parang wala masiyadong ganap sa area na to so lumipat din agad kami. But it's a good experience though. After the boat sailing, we lined up at The Dream Theater. They have different slots and shows to watch. We watched first the Turbo's Fast Season 1. Basically, it's like a theater with few seats, I guess 30 seats lang. Nice sound system pero ayan nanaman sila sa purple dim lights. 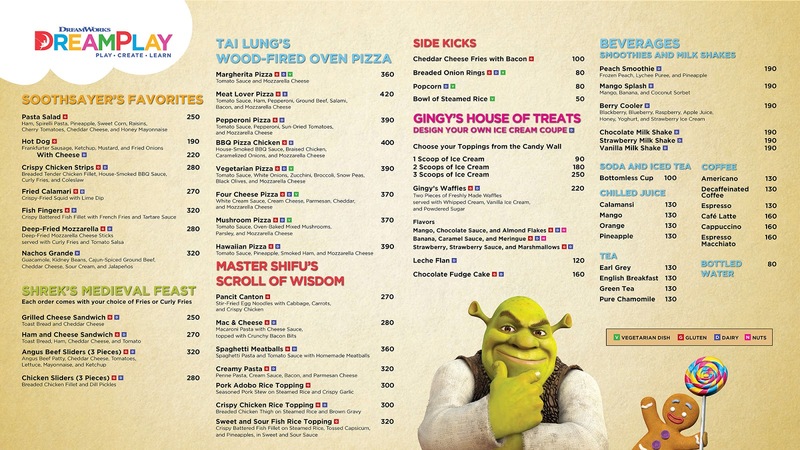 Siguro dahil dreamworks nga so ganyan ang mga lights nila. My son watched it seriously and eagerly while his daddy is almost sleeping :) It's about Turbo (of course, the main character) and how he'll win a race with grasshoppers. It's an interesting story plus a bit humor. So far, wala namang umiyak na kids during the show and it's very short like 20 minutes. Pwede kang manuod ng paulit-ulit. Pipila ka nga lang ulit. We came back here after a while para itry yung 4D. Spoiler Alert! Prepare yourselves sa 4D dahil for sure mababasa ka. But we enjoyed the 4D kahit medyo bitin. My son saw these 2 slides after watching the show from Dream Theater. Kids are always excited of slides so me and husby let him enjoy the slide for a while. This is for kids and parents who loves to read books. The ambiance is very relaxing like a library we see in the movies. They also perform puppet shows here. Another attraction is this Shrek's Swamp. Prince stayed here for a bit long since he really enjoyed jumping, climbing and playing with balls. Medyo maliit lang ang space niya at yan nanaman sila sa super dim light. This time, green dim light na ang sakit talaga sa mata. I wonder how they sanitize this place, parang medyo dirty tignan yung mga foams or baka dahil sa lights lang. Here you you can race using the magnetic balls controlled by a mini ipad infront of it. Aside from this, there are Turbo games that kids will really enjoy. Up there is a robot Dinosaur. We climbed upstairs to take a close look but that time it's not functional. We saw buttons but they are not working. That's so sad. In this area, you can assemble and create your own dragon then let it fly like in a zipline. Sorry for low quality pictures. Di talaga maganda ang lighting. Di ko din sila nakuhanan ng maayos dahil sa dami ng taong kasabay namen. Naexcite pa man din ako dito pero parang "yun na yun?". Sana mas interactive pa. While we are looking for our way downstairs, we did not expect there are still more. I think they have 3 function rooms upstairs for birthday parties I think. You'll see a big screen like a table where kids can color digital coloring activity. They have this big plane upstairs and kids can role play as a Pilot. Actually there's more pa but didn't enjoy them so we decided to go downstairs. 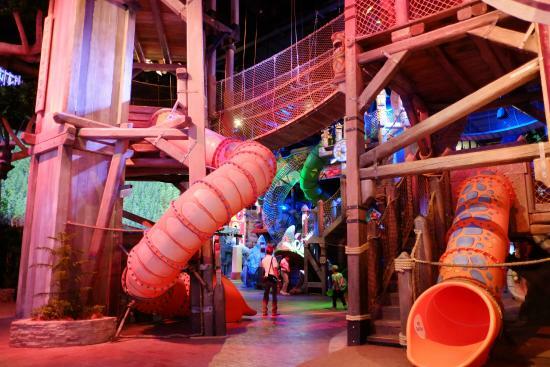 There are other attractions but we are not able to try because not suitable for toddlers. I think young adults and we parents may enjoy this. This is more on physical activities. 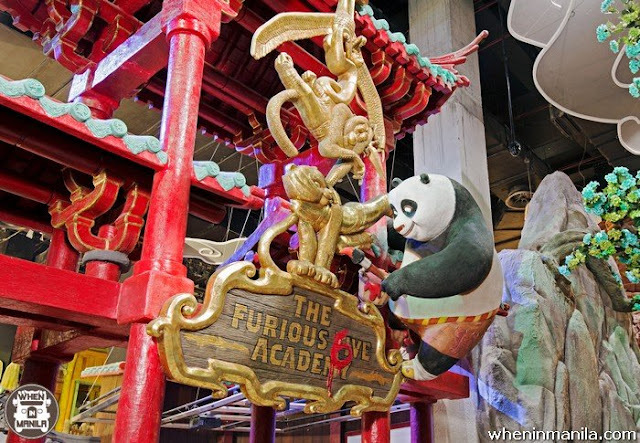 Last but not the least is Furios Cave Academy, where Po, the Kung Fu Panda itself will teach you basic training of martial arts. It's a friendly competition because each of you will receive points for every right movement. We actually enjoyed it and my son had fun too. May mga attractions kaming hindi na namen pinuntahan dahil madaming tao. But overall, we really enjoyed it. 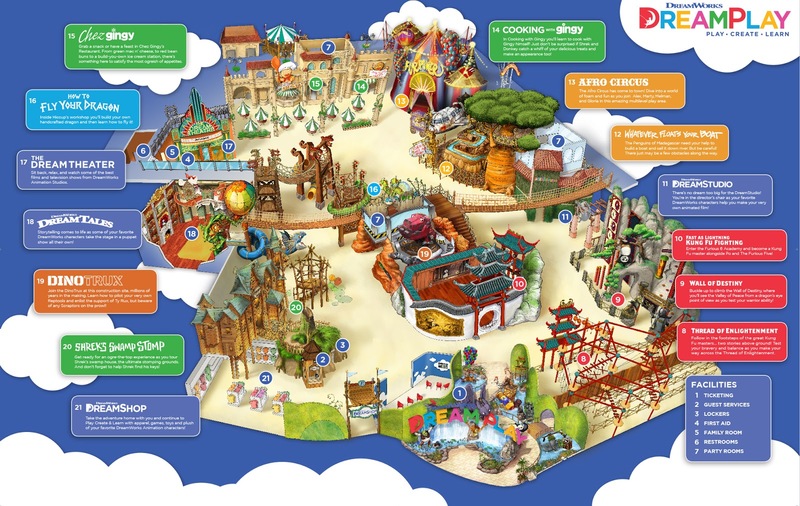 I hope they add new attractions and the only downside are the dim lights. Of course, most of theme parks do have souvenir shop and this shop is also your way outside. They are really pricey pero kung afford mo naman why not? So that's it, I hope you enjoyed my review and thanks for dropping by!